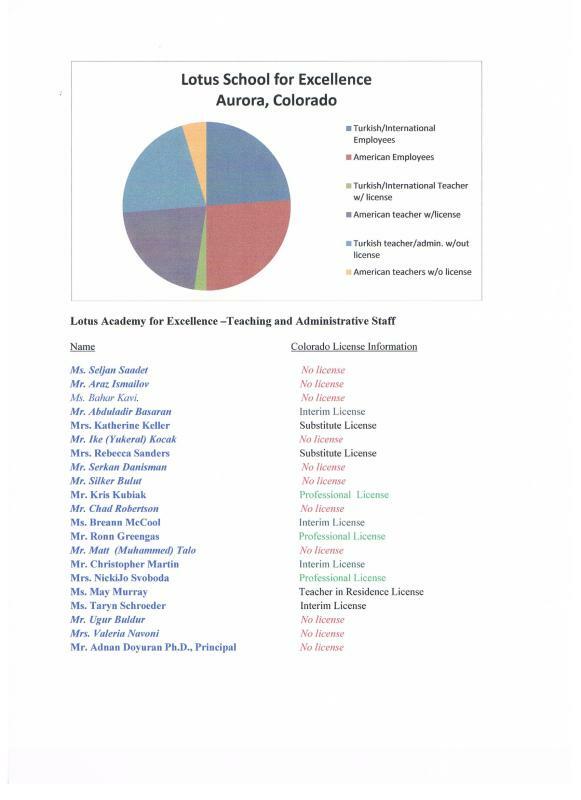 Rocky Mountain Low - CHARTER SCHOOL WATCHDOG http://www.charterschoolwatchdog. How can this school have "excellence" in its name? They have quite a few teachers, and in particular Turkish ones, that seem to be lacking teaching credentials/ licenses? Perhaps the word "excellence" means something else in Turkish. Here's the definition of Lotus, which is also part of the school's name, "A plant believed to be a jujube or elm, referred to in Greek legend as yielding a fruit that induced a state of dreamy and contented forgetfulness in those who ate it (dictionary.com)." So now we get it, maybe they feed the Americans lotus so that they can "forget" that their Turkish colleagues do not have the same credentials that they have, or that they are mostly likely getting paid more. Warning -- stay away from the baklava -- it might be laced with lotus.